This is my updated review of the British Airways American Express credit card (BA Amex Avios Card). 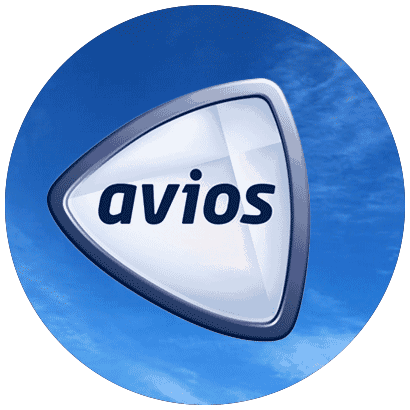 As regular readers will know, I’m a huge fan of all things Avios. HOWEVER (and I’m afraid it’s a big however) whilst numerous newbies to the Avios game head straight for the BA Amex Card, they’re making a huge mistake. Within this British Airways credit card review I’ll explain why it’s such a bad choice (hint there are cards which offer four times as many Avios) for accumulating Avios points. Now I’ll start with the boring bits so please do bear with me… The British Airways American Express credit card is issued directly by American Express. You can hold up to 2 charge cards and 2 credit cards which have been issued by American Express at any one time, although this doesn’t include Amex cards which are provided by the likes of Lloyds, TSB or Barclays. The BA Amex card is free and you’ll earn 5,000 Avios points when you sign up and spend £1,000 in the first 3 months. Note that if you use this link and scroll down you can get 6,000 Avios points (but don’t forget to read on to see why you should avoid the BA Amex card at all costs!). What are the Other Benefits of the BA American Express Card? Anything Else I Should Know About the British Airways American Express Credit Card? 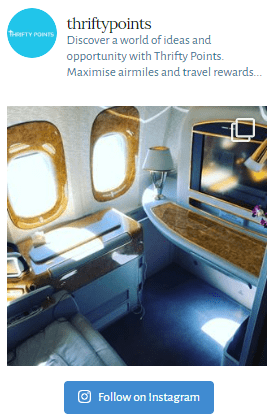 Ways to Spend Your BA Amex Avios points? The British Airways American Express credit card offers 5,000 Avios points when you spend £1,000 in your first 3 months (6,000 Avios using this link and scrolling down to select the free British Airways American Express card). This is however a terrible sign-up bonus when compared with the likes of the American Express Gold card which offers a market-leading 20,000 points (22,000 if you use this link). American Express reward points can be easily transferred to the BA Executive Club at a rate of 1 reward point to 1 Avios. With the BA Amex card you’ll earn one Avios point for every £1 you spend on the card. 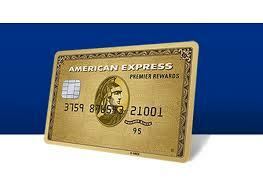 To give the card its credit, this is a reasonable earnings rate and matches that of the American Express Gold card. For those who are relatively quick at maths, you may have also worked out that with an earnings rate of 1 Avios for every £1 spent, you’d need to spend a staggering £16,000 on the British Airways Amex to only match the 22,000 points sign-up bonus you’d earn with the Gold card. That said, if you’re able to spend £20,000 on the BA Amex card then you may actually be better of splitting this spending across a number of cards to earn significantly more Avios points. 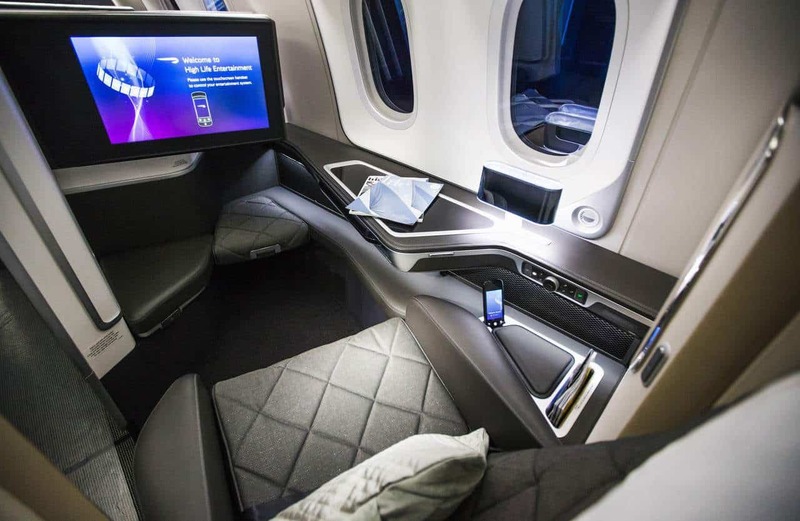 You can read my recent BA First Class review here where I provide step-by-step instructions to allow you to obtain a First-Class flight for less than an economy ticket! Historically American Express used to have a strict minimum-income requirement. This has since been stopped – you no longer need to earn over a certain level to apply for the British Airways American Express card. Recent changes to American Express rules now mean that to qualify for the sign up bonus you cannot have held a personal or corporate American Express credit card in the last 24 months – this would include the Green, Gold, Platinum, Nectar, Costco, Starwood and either of the British Airways cards – learn more about the sign up bonus restrictions and our suggested strategy here. Those who have read my blog before will likely know two things about me. I hate spending money and also I’m an avid fan of the BA Premium Card. Whilst mentioning spending money and a premium, paid-for card in the same sentence sounds crazy, when you find out just how valuable one of the benefits is, like me, you may well be persuaded! In fact, I’ve just returned from a First-Class return trip to Brazil which would not have been possible without the British Airways premium card! You can read my full review of the card here. I earned some serious brownie points, too! A question that I’m regularly asked by readers is whether the £195 annual fee on the premium card is worth it compared with the free British Airways credit card UK. In my eyes the only way to answer this question is to price up the various benefits offered by each of the British Airways credit cards. Let’s take a look at the value of each of these additional benefits. There are various ways you can spend the Avios points you’ve earned with the British Airways credit card using the BA website. I cover this in detail later on in this British Airways Amex card review however if you were to use your points for redeeming with Avis Car Hire, a 24-hour rental would use approximately 12,500 Avios. The alternative cash price would be £71.22, making your Avios points worth 0.57p in this instance (£71.22 divided by 12,500). Alternatively a better option would be to use the points you’ve earned with the British Airways Avios card for flight redemptions where you can get anywhere between 0.8p and 1.6p per point – take a look at how I value Avios points. Even at the lower end of the scale, the additional 20,000 Avios points offered with the premium card would be worth £160, going a long way to offsetting the annual £195 fee. The BA Amex credit card only offers 1 point per pound spent in comparison to 1.5 points per pound on the premium card. These additional points will add up, especially if you plan on putting a considerable amount of your monthly spending on the British Airways credit cards. Finally and most importantly is the 2-4-1 vouchers. In fact, I consider this so important that I’ve given this its own subsection. Is the 2-4-1 voucher worth it on the Amex BA card? Let’s start by taking a look at the T&Cs for each of the 2-4-1 vouchers. BA Amex card: Generates a 2-4-1 voucher each year when you spend £20,000. The voucher lasts for 1 year. BA Amex Premium card: Generates a 2-4-1 voucher each year when you spend £10,000. The voucher lasts 2 years. One of the first things I’d highlight is that if you plan on spending £20,000 on either of the cards, you would earn a further 10,000 Avios points with the premium card. This is because the premium card offers a further 0.5 Avios points per pound spent than the standard British Airways rewards card. These extra rewards points could be worth £100 if used for flights! Secondly it’s worth highlighting that the one-year expiry on the free British Airways UK credit card is very inconvenient. For busy routes you’ll need to book 11 months in advance which means that unless you trigger the 2-4-1 voucher perfectly it’s very difficult to use. Use £2,000 of your spending to trigger a bonus on another card – we’d recommend signing up to the American Express Gold card for 20,000 Avios points (22,000 if you use this link). Then sign up for the BA Amex Premium plus card and spend the necessary £10,000 to earn the 2-4-1 voucher alongside the 25,000 Avios point sign-up bonus (26,000 if you use this link and scrolling down to the correct card). Recent changes to American Express rules now mean that to qualify for the sign up bonus on certain cards you cannot have held a personal American Express in the last 24 months. Fortunately you can still sign up and benefit from the bonus of the Premium Plus card if you hold a Gold Card. The same is not true in reverse. If you already hold a Premium Plus card you will not qualify for the sign up bonus on the Gold card. As such always sign up to the Gold Card first and then the Premium Plus card second – learn more about the sign up bonus restrictions and our suggested strategy here. If you have a partner, they could also sign up to a BA Premium Plus Amex and add yourself for a supplementary card on that account – earning two 2-4-1 vouchers! So what’s a 2-4-1 voucher earned using the British Airways points card worth? As I mentioned earlier in this review, I’ve recently used my 2-4-1 voucher for 2 First-Class return tickets to Brazil. This saved me a total of 204,000 Avios for my partner’s ticket. A massive saving and at approximately 1p per Avios point the benefit was worth £2,040 to me. BA Amex Avios card: 5,000 Avios (6,000 using this link and scrolling down to the free BA Amex card) and 20,000 Avios for spending £20,000 on the card. Total 25,000. As such the 2-4-1 voucher will allow you to redeem two 25,000 Avios flights for the price of one, saving 25,000 or approximately £250. BA Amex Avios Premium card: 25,000 Avios (26,000 using this link and scrolling down to the correct card) and 30,000 Avios for spending £20,000 on the card. Total 55,000. As such the 2-4-1 voucher will allow you to redeem two 55,000 Avios flights for the price of one, saving 55,000 or approximately £550. Hopefully the above speaks for itself and you can see why it would make financial sense to go for the BA Amex Premium card over the standard BA American Express card. If you’re looking for a free card then I’d definitely recommend the American Express Gold card and cancel after 12 month. Hotel stays: The value of your reward points can vary depending on which brand you decide to book with. As an example, a night’s stay in the Doubletree Westminster would require approximately 36,500 points or £200.75 if purchased by cash, making the redemption worth somewhere in the region of 0.55p per point. Check out the BA website here for current hotel deals. Car hire: As mentioned above, if booking with Avis you’ll get approximately 0.57p per Avios point. Check out the BA website here for current car-hire deals. Wine, Prosecco and Champagne, etc. : A bottle of Hendricks would set you back 6,500 Avios points. I suspect you could pick up a bottle locally for £30 equating to 0.46p per point. Experience days: The Avios website offers an extensive list of options when it comes to experiences. An adult pass to the Tower of London would require 4,500 Avios. A similar ticket could be purchased for £22.70 online equating to 0.5p per Avios point. Check out the BA website here for current experiences being offered. BA Amex card lounge access – is it possible? Frustratingly neither of the Amex BA cards offer free lounge access. I believe this is because it would devalue the benefit offered by the British Airways Executive Club. If you’re after a credit card which provides lounge access, then I’d recommend the Amex Gold card – full review here. You’ll get a Lounge Club pass and 2 free passes when you sign up. The card is free for the first year and what’s more you could earn 20,000 Avios (22,000 if you use this link) when you spend £2,000 in the first 3 months. I’d go for the Amex Gold card over the free British Airways Avios credit card any day of the week. Is it difficult to spend on the BA Amex credit card in the UK? 10 years ago or so, it was very difficult to use an American Express credit card in the UK. Unsurprisingly the world has changed since then and more retailers than ever are accepting the likes of the Amex British Airways card. The only places you’ll struggle are the small independent retailers, however there’s never any harm in asking. Is this BA Avios credit card at risk? In 2015, the EU announced a cap on the amount that credit card companies could charge retailers to process card payments. Recently the EU has ruled that the co-branded (British Airways and American Express) cards fall within this category, which will put a squeeze on the benefits offered by the cards. Whilst BA and Amex have both announced that there will be no immediate impact to the existing credit cards, I suspect it will only be a matter of time until these are discontinued. Don’t worry, this shouldn’t impact the Amex Gold card but may impact both the British Airways Amex credit cards. As such I’d recommend signing up to the BA Premium card soon rather than later! Do Visa Card offer a British Airways card? Not yet. With the current changes to the co-branded cards I suspect it won’t be long until we see a British Airways Visa card UK. Whilst the free BA Amex card offers a reasonable sign-up bonus, I would recommend initially taking out the American Express Gold card (see my review here). This offers more in the way of a sign-up bonus, gives additional benefits and is also free of charge for the first 12 months. However if you’ve already used your Amex Gold card and you would spend more than £10,000 on a credit card, then you should consider the premium British Airways American Express credit card to gain further Avios quickly – you can increase the sign-up bonus from 25,000 Avios points to 26,000 points by using this link and scrolling down to the correct card. Whilst the BA Amex card offers a relatively poor sign-up bonus of 5,000 Avios when you spend £1,000 in the first 3 months, the continued Avios earnings rate is reasonable (although you will need to spend £16,000 on the card to even reach the sign-up bonus of the likes of the Gold card!). Don’t forget you can also increase the sign-up bonus of the BA Amex card from 5,000 Avios to 6,000 by using this link and scrolling down to the free version of the card! I hope you’ve found this British Airways American Express card review useful and as always please do comment if you have any queries. Please do share this post if you think friends would be interested in a British Airways American Express credit card. For those of you looking for a way to spend your hard-earned points with either the BA Amex card or an alternative, take a look at my recent free weekend away at the Waldorf Astoria Rome. The post gives you an overview as to how you can also travel and stay in Rome for free!